Update (19/05/11): A revised and expanded version of this post has been published in The Journal of Critical Globalisation Studies (Volume 4), which you can access for free here. I’ve hesitated to comment on events unfolding in Egypt (and in the wider region, from Tunisia to Yemen). Not only do I lack any special knowledge of events but many others have said all that I would say with greater skill and clarity. Yet, a sense of solidarity with protesters and my frustration with the commentary on events leads me to offer a few thoughts on the ambiguous role that appeals to “realism” are playing in the response to the actions of the protestors and the government in Egypt. 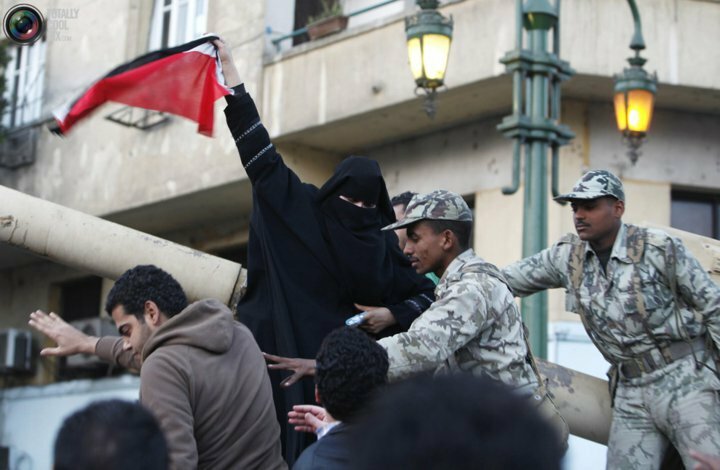 As the protestors and Mubarak’s goons wait it out in Tahrir Square, the rebellion against the president has entered a key phase. 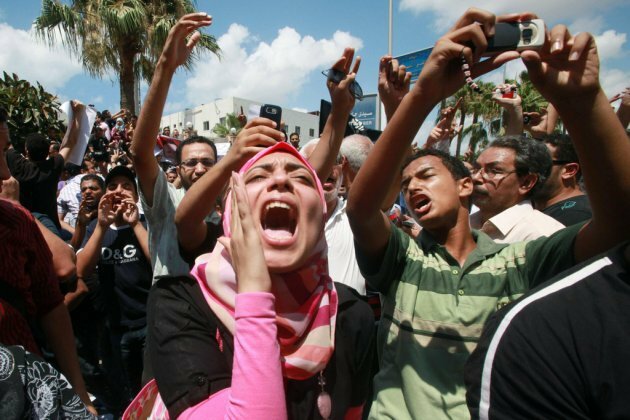 Will the threat of continued violence give Mubarak the space he needs to solidify his power till next year, and in the process avoid the thorough changes the Egyptian people are demanding? As protestors face violence, exhaustion and deprivation the prospect of compromise must seem more desirable than before. The time seems ripe for expressions of support from key states and leaders. The protestors need our support; it’s much easier for Mubarak to play for time from the presidential palace than for protesters in the streets, but the men and women able to make a difference do not use their voices to share in democracy’s street-choir. And these moral midgets are attended to by their Lilliputian advisors, who counsel patience, restrain and reform that preserves stability. Barak Obama has clearly mastered the dark art of evasive support, leaving no doubt that he’s all for Egyptian democracy that doesn’t change too much, too fast, and, most importantly, doesn’t compromise the key strategic interests of the US. Predictably, Joe Biden made the point with less tact, but perhaps more truth, when he expressed his insensibility to the crimes of Mubarak against his own people. Clearly regional stability is the key rhetorical trope, and perhaps no issue is more important in defining what “regional stability” really means than Israeli security. Binyamin Netanyahu has clearly been trying to exert pressure on the US to limit the support they give to democratic reform in Egypt. Despite the homilies on human rights and democratic freedom delivered by Mr Obama to the Egyptians, it’s a predictable set of concerns that are setting the agenda for US foreign policy – maintaining order, controlling change and ensuring the interests of the dominant actors involved. As Tony Blair joined the discussion he not only underlined Biden’s dictator-skepticism, but also clearly articulated the managerial worldview of a man who has learned to think of himself as a member of a privileged group of clear-eyed realists with responsibility to control all the things – or at least all the things of world politics. Not only does this response covertly trade in the trope that Arab countries won’t be able to handle democracy without Western tutelage, it also trades in a degraded notion of realism, in which serious men act as if their apologia for imperial arrogance is sagacious wisdom gleaned from long experience. Luckily there are plenty of people out there who are not picking up what the boys are putting down. 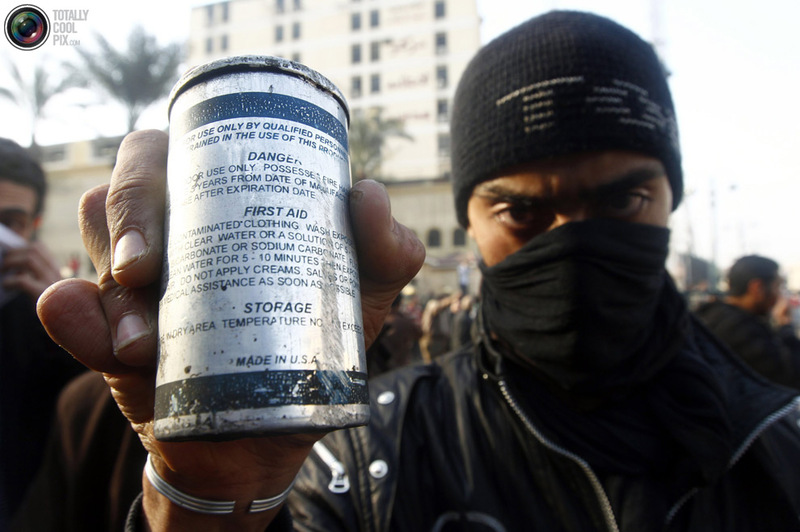 The US representative here does a practiced dance to the theme of restraint, reform and false equivalencies – as if protesters and the agents of Mubarak’s “coercive apparatus” can be compared – but then he manages an inspired variation on missing the point, in which being blocked from tweeting comes before being shot with rubber-coated steel bullets on the list of bad things being done to the protestors. What the good man at Al Jazeera quickly notices is that this statist line is divorced from reality, or at least the reality of the protesters battling their corrupt leaders in the streets of Cairo, Alexandria and other cities throughout Egypt. Reality based journalism, refusing to accept equivocation, it’s no wonder Al Jazeera is on everyone’s screens in these troubled and exciting days. What a welcome change! A committed realist may well respond that the problem here is not realism in foreign policy but the shoddy analysis and muddled thinking of these all too human leaders of men. And I need not speculate about this potential realist, as Stephen Walt has already made a realist argument for getting rid of Mubarak on his blog at Foreign Policy. Making the case that a consistent line on state interest should lead the US and Israel to support a democratic Egypt and the ouster of Mr Mubarak – of course focusing on how such a transition benefits dominant powers and must be properly managed. Other things being equal, states are better off if they don’t have to worry about their allies’ internal stability, and if an allied government enjoys considerable support among its population. An ally that is internally divided, whose government is corrupt or illegitimate, or that is disliked by lots of other countries is ipso facto less valuable than one whose population is unified, whose government is legitimate, and that enjoys lots of international support. For this reason, even a staunch realist would prefer allies that were neither internally fragile nor international pariahs, while recognizing that sometimes you have to work with what you have. While there is an admirable consistency and clarity to this argument, it just serves to highlight the failure of realism as a worldview. It’s not a problem of analysis but a problem of understanding. So, whether we are looking to Walt’s sober instrumentalism, the outrageous reemergence of neo-conservative evangelical realism (in which security is guaranteed through democratic conversion), or a mundane realism that focuses on what the US must accept in these changing times, the focus is on what I want to call the reality of dominance. Strictly speaking, my criticism doesn’t apply only to those writers adopting a Realist theory, but rather to a brand of statist thinking that justifies the narrowness of its analysis, the instrumentalization of moral concerns, and its principled elevation of order above all other values in the name of reality. The fundamental claim is that the reality of international politics demands such qualities of us; this realist position contrasts itself to utopians (who are not more moral but less realistic) who cannot see the world that is. But what often goes unchallenged is exactly which reality realists are better able to grasp. The too often unspoken truth is that their reality is the reality of powerful actors, of those seeking to dominate, control, exploit and to render social reality into the means for their various ends. Of course realism requires the denial of its power-fetish, as its role as counsel to imperial/hegemonic ambition is transformed into the necessary responsiveness states must have to the unavoidable constraints of “reality” – no account is more influential or ungrounded than that of Hans Morgenthau, who simply asserted a psychological drive to justify the inescapable reality of dominance. The tendency to dominate, in particular, is an element of all human associations, from the family through fraternal and professional associations and local political organizations, to the state. On the family level, the typical conflict between the mother-in-law and her child’s spouse is in its essence a struggle for power, the defense of an established power position against the attempt to establish a new one. As such it foreshadows the conflict on the international scene between the policies of the status quo and the policies of imperialism. I’m Bringing Utopianism Back (yeah). Them Other Bloggers Don’t Know How to Act (yeah). In politics, the belief that certain facts are unalterable or certain trends irresistible commonly reflects a lack of desire or lack of interest to change or resist them. The impossibility of being a consistent and thorough-going realist is one of the most certain and most curious lessons of political science. Consistent realism excludes four things which appear to be essential ingredients of all effective political thinking: a finite goal, an emotional appeal, a right of moral judgment and a ground for action. Despite the fact that Carr is consistently mislabeled as a Realist, his critique gets to the nub of the matter. When realists claim that “utopianism” refuses to engage with the world they’re tilting at windmills. No one is anti-real, the problem with statist realism is that it takes a particular world as the world that is and, without acknowledging the fact, gives that world its blessing, judging the world of dominance to be a world we should accept. Utopia is a belief in the necessity of a new world, which requires identification with a reality other than that of dominance in two ways. First, to endeavor to change the world is to believe that reality can be changed. This much the standard realist critique would accept, but utopianism also begins from a different reality. Utopianism begins form a dissatisfaction with the reality of dominance, judging it to be wanting. This leads to the identification of a reality of subjugation, deprivation, uncertainty, and danger, which justifies opposition and coordinated efforts for social change. The call for Egyptian protesters or for foreigners expressing solidarity to be realistic is not a call to be prudential, accurate and thorough, but a call to respect the boundaries of the reality of dominance, to avoid knocking out the walls or pulling up the flooring in the house that power built. Robert Fisk is no less realistic in his analysis of the US response to Egypt, he just has the good sense to know that the situation in Egypt is disgraceful and the chance to help those women and men bravely facing down the batons, knives and shields of the state-agents should be embraced because it will help to create a better reality. If we can contribute to that in some small way, we should. One almost felt sorry for Obama. Had he rallied to the kind of democracy he preached here in Cairo six months after his investiture, had he called for the departure of this third-rate dictator a few days ago, the crowds would have been carrying US as well as Egyptian flags, and Washington would have done the impossible: it would have transformed the now familiar hatred of America (Afghanistan, Iraq, the “war on terror”, etc) into the more benign relationship which the US enjoyed in the balmy 1920s and 1930s and, indeed, despite its support for the creation of Israel, into the warmth that existed between Arab and American into the 1960s. But no. All this was squandered in just seven days of weakness and cowardice in Washington – a gutlessness so at odds with the courage of the millions of Egyptians who tried to do what we in the West always demanded of them: to turn their dust-bowl dictatorships into democracies. They supported democracy. We supported “stability”, “moderation”, “restraint”, “firm” leadership (Saddam Hussein-lite) soft “reform” and obedient Muslims. This failure of moral leadership in the West – under the false fear of “Islamisation” – may prove to be one of the greatest tragedies of the modern Middle East. Egypt is not anti-Western. It is not even particularly anti-Israeli, though this could change. But one of the blights of history will now involve a US president who held out his hand to the Islamic world and then clenched his fist when it fought a dictatorship and demanded democracy. Realists have no exclusive claim to the analysis of power, no special providence over prudence, and the statist claim to represent realism is not its own justification. Until we study world politics from the perspective of those dominated at least as much as from the perspective of those who dominate our study will remain a course book for statist and imperial management. Barry convinced many of us that he was the good kind of utopian, not just able to imagine some new reality, but to see what it was about this reality that called out for transformation, within the US and in the relationship between that complex idea-institution-collection of humanity called the US and the rest of the world. And I suspect on a personal level he is – I think he knows the right thing is to come out in full-support of the Egyptian protesters and tell Mubarak to take the next flight out of Cairo. But as Paul rightly pointed out, it’s even worse to be on the right side of matters personally, while upholding the reality of dominance, especially when one has the power to change things. The rebellion in Egypt was (and may still be) an opportunity for Obama to help bring about a momentous change in the dynamics of world politics – not for a political victory, but to make a contribution to the transformation of a problematic reality to a better one. Does anything justify his failure to act? I don’t think so. What explains this failure? I’d suggest, at least in part, that it stems from the difficulty of escaping the reality of dominance – to see beyond the narrative framing that fetishizes state interests, hegemonic stability and imperial order. A failure of audacity, perhaps? 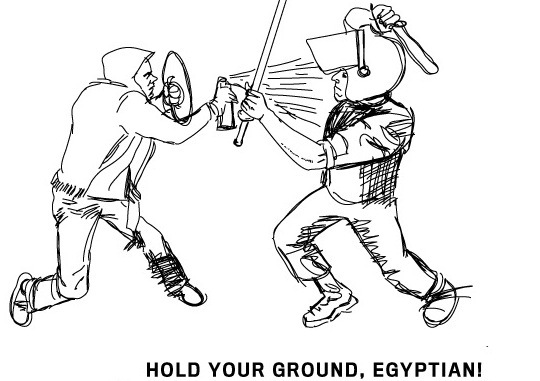 The Egyptian people are willing to face down Mubarak’s apparatus of violence, to risk being stabbed by thugs, to put an end to “corruption, injustice, poverty, and unemployment” and bring about a better reality with more equality and democracy – to support the state or the cause of order over those vulnerable bodies and brave people, even if it is with reticence, is not realism, it’s moral idiocy. Well, I retain some skepticism about tactics of hopeful activism carried out through symbolic gestures performed very far away from “the action” – as much as it makes me a curmudgeon, I can’t really get behind the FB virtual marches and protesting the Egyptian embassy in London, for example. But I’m definitely 100% anti-dominance and pro-hope. And I always knew we were on the same side. It’s funny – there’s two binaries at work in Washington’s imagination here. The one which you pick up – the realist-utopian one- is there for sure, and deeply muddled. But it is deeply compounded by the other – the secular/rational – extremist/irrational binary which Obama and a lot of the other policy wonks are using to frame their calculations. It’s no wonder that they don’t know what to do, because they don’t know what they are looking at. I stopped reading this long post when it got to Morgenthau and Carr. I agree that some of the rhetoric (Biden, Blair) has been tone-deaf and rather arrogant and takes a too “pro-dominance” view. But Obama on the whole has done reasonably well after the first day or two, it seems to me. The notion, implied in the post (or the part of it I read) that the president of the U.S. should show not much concern with the perceived interests of the U.S. is — dare I say this? — not realistic. I agree Obama should have been quicker to call for immediate ‘transition’. But a veteran journalist like Fisk should understand that it’s difficult for a large bureaucratic apparatus like the U.S. gov’t to turn on a dime and discard a relationship of some decades with a particular regime and ruler. A more legitimate criticism is that the U.S. should have started distancing itself from Mubarak quite a long time ago, not that it should have changed thirty years of foreign policy in 24 hours. A truly visionary president who felt more at home with int’l affairs might have managed it, but Obama is somewhat cautious and he no doubt initially followed the lead of the bureaucracy, which is always cautious. Fisk’s last sentence I just think is something of an overstatement. Incidentally, we all know who the last U.S. secretary of state was who had complete and utter disdain for the foreign policy bureaucracy: Henry Kissinger. I believe one of you at The Disorder of Things — Pablo, wasn’t it? — had something to say about Kissinger not too long ago. Whatever the answers to the questions of Obama’s capacities, I think the example of bureaucratic structure illustrates the underlying point about realism/Realism well, in the sense that it’s not at all clear that being ‘realistic’ about what the existing bureaucratic apparatuses of states can and can’t do involves being either a ‘Realist’ in academic terms or a ‘Realist’ in foreign-policy decision making terms. Indeed, serious attention to how institutions think (to riff off Mary Douglas) leads us away from rationalism or high-political decisionism in analytical terms and towards sociology and social psychology. Now, I’m aware that there are various sub-schools of IR Realism that have attempted to take on these criticisms but, at the very least, the central role of an agile, rational and agentic foreign policy elite responding to events in terms of national interest is displaced if we do so. ‘Realism’-‘realism’ also closes off options by etymological fiat. Obama may stick to ‘perceived’ national interests, but this doesn’t tell us much, at least in terms of the reality or irreality of this thought. Since the crucial word is ‘perceived’, we may again be dealing with a vicious cycle of incorrect or morally-bankrupt belief, rather than anything to do with accurate insight into the world as it is. This is precisely the descriptive-prescriptive choice on which Realism so often founders. Since figures as central to the canon as Waltz, Morgenthau, Mearshimer and Walt thought and think that Iraq, Vietnam, the US relationship with Israel and current policy towards Egypt are not in US national or moral interests, why is it that successive administrations pursue such policies with consistent vigour? Are they not sufficiently realist? That’s the analytical. As for the normative, none of this can really answer the fundamental questions, because social reality is currently in flux. It’s not at all clear where US national interests now lie, even in narrow terms. And that is before we ask what they could be under a different range of entirely-possible policies. Carr’s observation was not that liberal internationalists were simply delusion or analytically inadequate. It was that they were covering up for the material interests of great powers with talk of a harmony of interests when they were actually trying to frustrate the attempts of the have-nots to get a bit more of the world. In that sense at least, it is today’s foreign policy talking heads and speakers of uncomfortable ‘truths’ who are the Utopians.